Beyond Vorkuta: What makes Russian mines so dangerous? 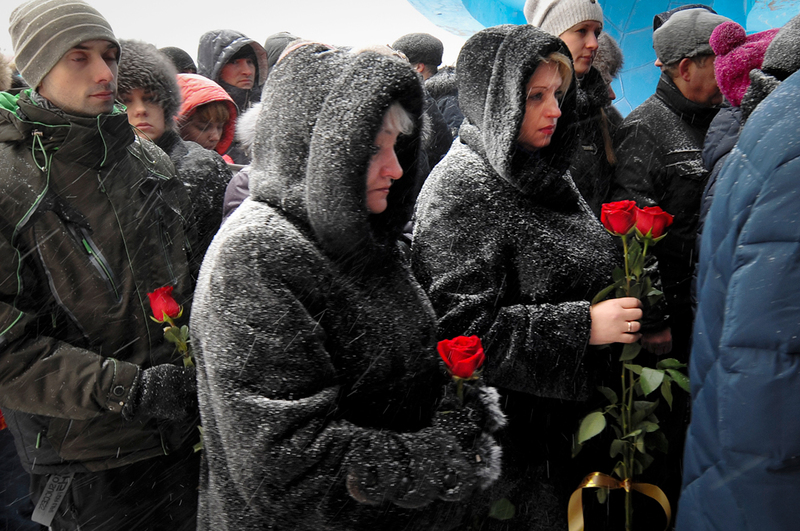 People queue to pay last respects to Vitaly Lavrov, one of the dead miners, during a funeral in Vorkuta, Russia Monday, Feb. 29, 2016. Dozens of people have died at a coal mine where a methane gas leak triggered three explosions and the collapse of the mine. An explosion in a mine in Severnaya killed a total of 36 people in the northern Russian city of Vorkuta. The tragedy has again raised the issue of safety within Russia's mines. A couple of explosions occurred 748 metres below ground in the Severnaya mine in Vorkuta (1,200 miles northeast of Moscow) on February 25. Of the 111 people who were underground at the time of the accident, 30 died. The others were able to make it to the surface. While search operations were being conducted on February 28, a third explosion took the lives of six more people, bringing the search operations to a halt. The bodies of 26 miners are still awaiting recovery under the rubble. This is not the first accident to have taken place in Russian mines in recent years (see box). Often they occur because of a rock collapse or fires and floods. However, the most tragic cases are related to explosions of methane and coal dust mixtures, which happen because of safety norm violations, said Alexander Sergeyev, head of the Independent Mineworkers Union of Russia. In 2013, a violation in the ventilation system in the Vorkutinskaya mine led to an accumulation of coal gas and methane, which resulted in an explosion that killed 19 people. Accidents often occur in Russian mines because of human interference in the automatic gas control system. As an example Sergeyev cited the biggest accident in the history of modern Russia, at the Ulyanovskaya mine, in 2007. The director had ordered for the gas control counter to be altered so that the mine would not be closed due to a violation of the coal gas norms. An explosion resulted, killing 110 people. According to a preliminary theory, the accident at the Severnaya mine bears "a natural character and is a mining and geological case." But Sergeyev is not convinced and believes the accident took place also because of violations of safety norms. Darya Tryasoi, daughter of one of the miners who died in the Severnaya mine in Vorkuta, wrote on social networks that three weeks before the tragedy her father had complained of an excessive level of methane concentration in the mine. Fortunately, the volume and number of accidents in Russian mines is gradually decreasing. In 2004 there were 33 accidents that took a total of 148 lives. In 2014 the number had declined to 8, with 26 deaths. However, the figures are still far higher than in many other countries (see box). According to Sergeyev, in order to reduce accidents in Russian mines it is necessary to regularly conduct preventive operations. He feels that if timely preventive measures had been carried out at the Severnaya mine, which belongs to the category of mines with high risks of rock bursts and sudden methane explosions, the tragedy could have been avoided.